Early in the year 1982, Murray Burton, Evan Evans, Norm Richards, and Ray Pearse, all of Lethbridge, and Duane Dunn of Turin originated the idea of a tractor museum. At the founding meeting on May 1, 1982, they chose the name “Prairie Tractor and Engine Club” The first threshing show was at the Duane Dunn farm in 1982. For the next four years threshing shows were held on this farm northeast of Turin. Land purchased from Roelof Heinen, south of Picture Butte, became the home of “The Tractor Club”. Annually since 1987, demonstrations of threshing the old fashioned way and a “Parade of Power” have been held on this property. Members of the Society have moved many historic buildings into the village and have rebuilt hundreds of antique machines. On display now are tractors, binders, combines, threshers, and many other kinds of farm equipment from bygone years. The museum has grown from its original focus on tractors and farm machinery to become a representation of a pioneer village called Coyote Flats. 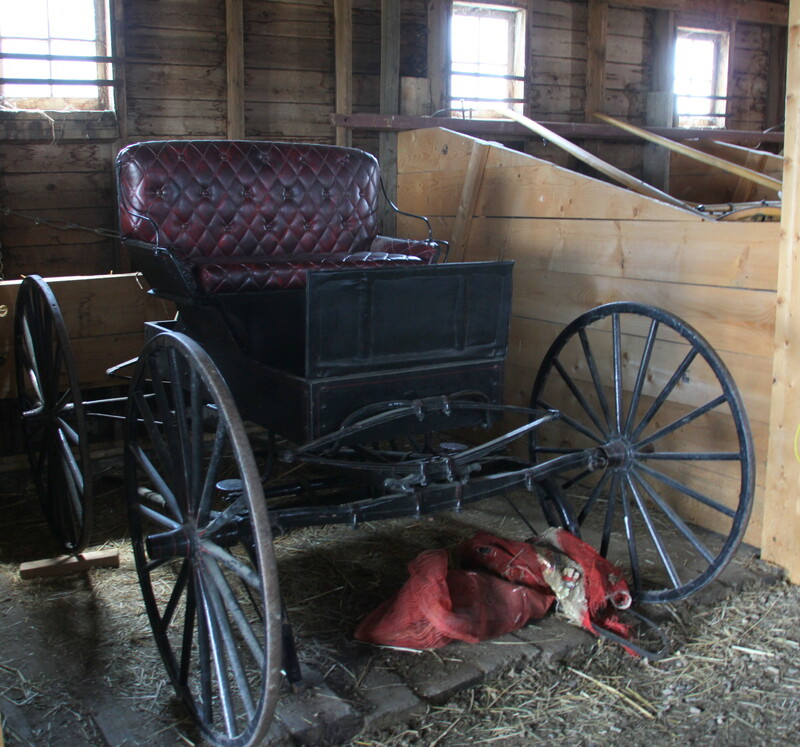 Every aspect of a homesteader’s life is represented in the extensive collection of artifacts. In 2009, the Alberta Museums Association recognized this site as a certified museum.